Size: 2 3/8 in. x 3 5/8 in. Publisher: The U.S. 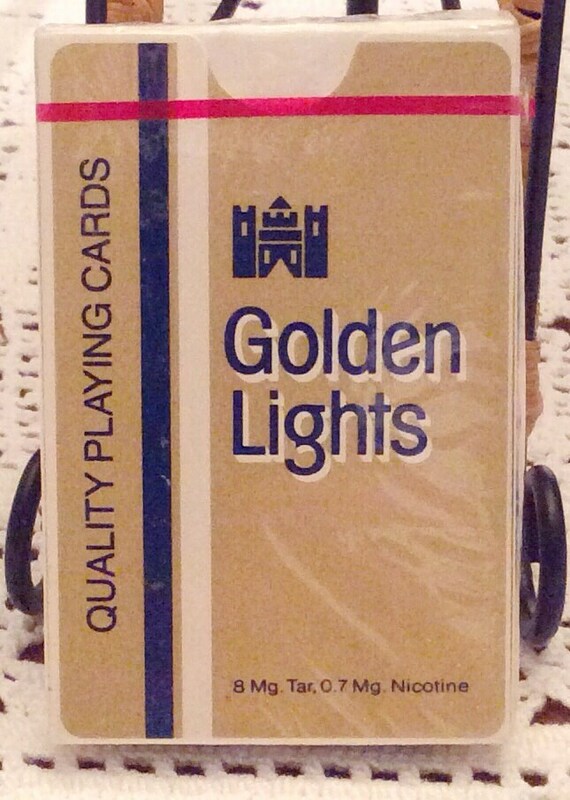 Playing Card Co. 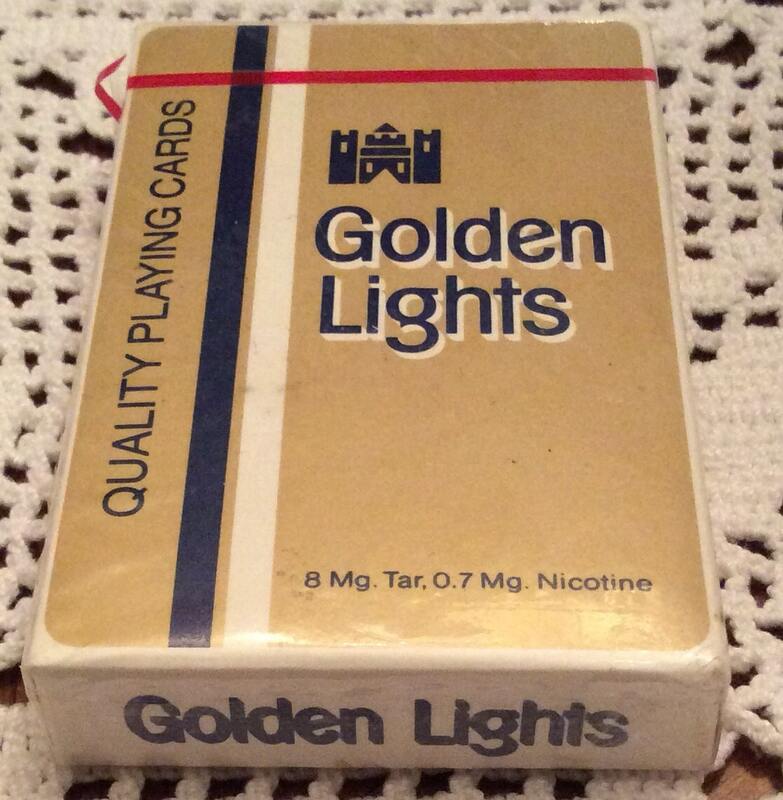 Here for your review is a deck of Playing Cards featuring Golden Light Cigarettes - looks like a pack of the cigarettes. CONDITION: QUALITY PLAYING CARDS ♣️ Previously owned, factory sealed. 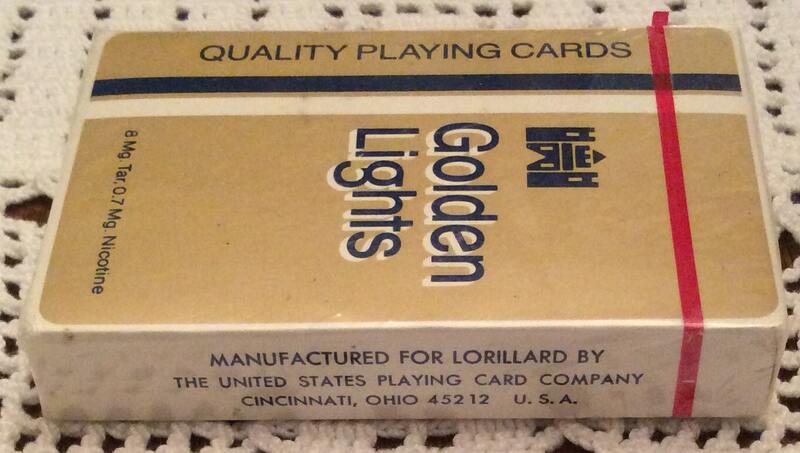 Manufactured for Lorillard by the United States Playing Card Company. 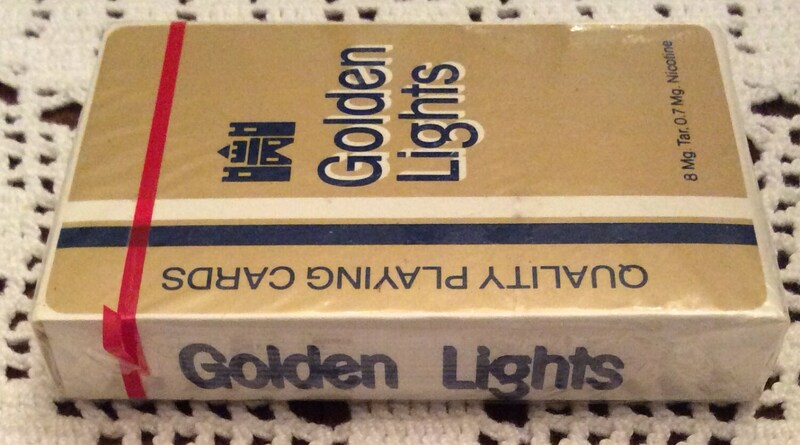 A nice collectible for the advertising and tobacciana fan.